Often times, pivot tables are associated with MS Excel. 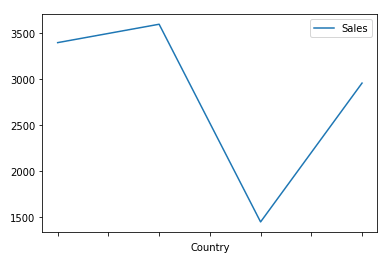 But did you know that you can also create a pivot table in Python using pandas? And so, in this tutorial, I’ll show you the steps to create a pivot table in Python using pandas. I’ll use a simple data-set about employees and sales to demonstrate this concept. Firstly, you’ll need to reflect the above data in Python. But how would you do that? Once you have your DataFrame ready, you’ll be able to pivot your data. 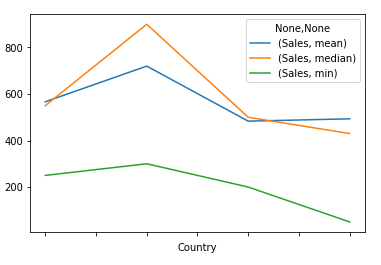 Next, I’ll show you how to pivot the data based on those 5 scenarios. This will allow you to sum the sales (across the 4 quarters) per employee by using the aggfunc=’sum’ operation. Now, we’ll see how to group the total sales by the county. 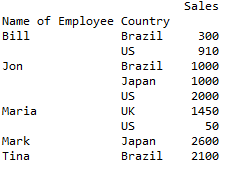 Here the only difference is that you’ll need to aggregate the results by the ‘Country’ field, rather than the ‘Name of Employee’ as we saw in the first scenario. But what if you want to plot these results? You may aggregate the results by more than one field (unlike the previous two scenarios where we aggregated the results based on a single field). So far we used the sum operation (i.e., aggfunc=’sum’) to group our results, but you are not limited to that operation. Pivot tables are traditionally associated with MS Excel. 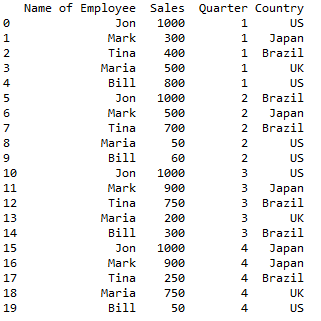 However, you can easily create a pivot table in Python using pandas. We just saw how to create pivot tables across 5 simple scenarios. But the concepts reviewed can be applied to lots of different scenarios. You can find additional information about pivot tables by visiting the pandas documentation.